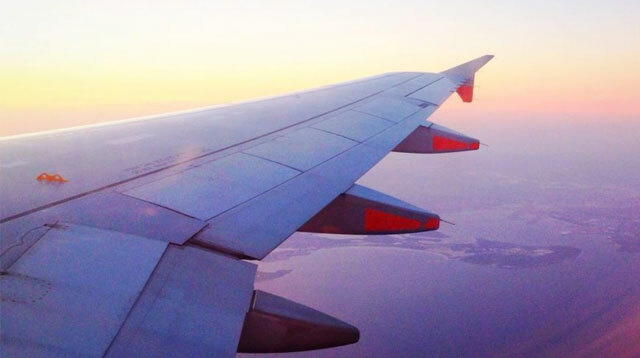 If you've ever noticed a flare-up of breakouts appear after flying, then you're not alone. Because it turns out, "airplane acne" is a genuine thing that exists in the world and SHOCK HORROR, it affects women more than men. It's apparently all down to crossing time zones in the air, and the stress that this causes your body. Dr. Neal Schultz, an NYC-based dermatologist explained to MarieClaire.com: "When you are flying east to west, you're crossing multiple time zones and that means at a certain point, your internal clock has to be reset." "It's very stressful to your body, which deals with stress by secreting cortisone from you adrenal gland, but every time the adrenal gland makes some cortisone, it also leaks a little bit of male hormone, androgen, out at the same time. In men who have normally high levels of male hormone, that little bit of male hormone doesn't make any difference. But in women, who normally have low levels of male hormone, that extra little bit of male hormone makes a big difference." And yup, that difference—well it causes acne. GREAT. Although a lot of this is down to hormone production and therefore pretty much uncontrollable to us mere mortals, it's recommended that you drink up, slap on that moisturizer and try to relax while you're up there. Oh, and feel free to curse all the men with major side-eye, too.